Murakami is a name second to none when it comes to the manufacture of high quality stencil products. The range of MS-Capillary Films are available in both rolls and custom cut sheets (sheets by request only). 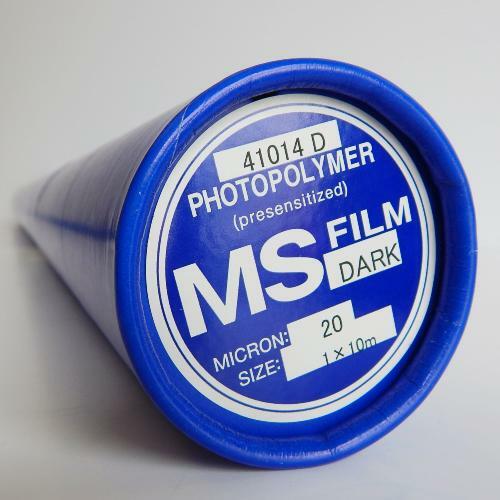 MS-Film produces excellent stencils with very easy application techniques. The image quality of MS-Film improves the ink transition and produces excellent image resolution for all fine details and the most demanding print requirements.resolutions. Made from fast exposing Murakami SBQ Pure Photopolymer Emulsion, a quality that is perfection itself.